CORGI heating mats are perfect for providing luxurious underfloor heating beneath virtually any floor surface and are particularly well suited to installation in larger rooms. The mats can be installed directly beneath a tiled floor or almost any other floor covering if covered with a levelling compound first. In well insulated rooms (up to current standards) they are suitable for providing space heating and in other circumstances they will provide floor warming. A 150W/sqm system can provide full room heating in well insulated rooms on well insulated floor bases or floor heating in less well insulated rooms. 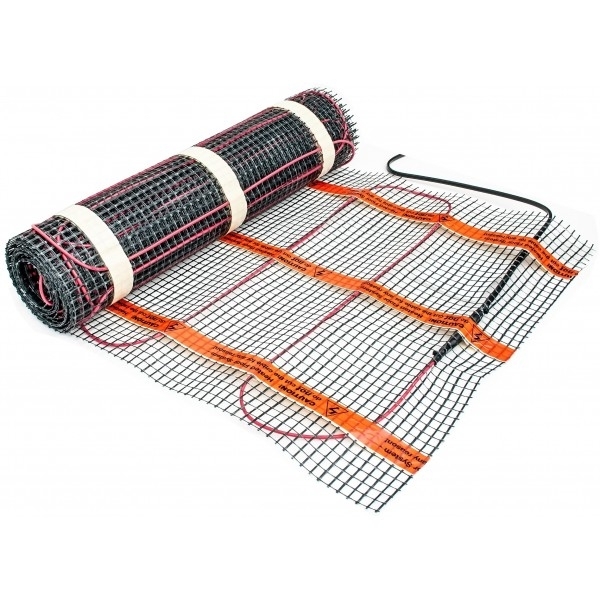 If the room or floor base the system is going to be installed on is poorly insulated we recommend installing a concrete faced thermal insulation board directly beneath the underfloor heating system. Insulation installed beneath a heating system will reduce the warm up time of the system and reduce running costs. Systems installed onto badly insulated floors may not meet your expectations. To comply with the latest regulations the thermal resistance between the heating system and the room must not have an insulation value higher than 0.125m²K/W. As you would expect from a CORGI product they offer safe and reliable underfloor heating.